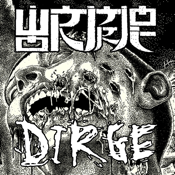 'Dirge' is the new album from Wormrot, the hottest new band in grind, featuring 25 ferocious tracks over 18 minutes! Download this app to listen to the entire album for FREE! You can also stay up-to-date with the band's latest news, find out when they're playing a show near you, check out the their latest photos and more! There are even two exclusive videos included, featuring the band in the studio recording 'Dirge', and taking their destructive live show on the road!